There were several successful flights of dirigible airships during the Fair. 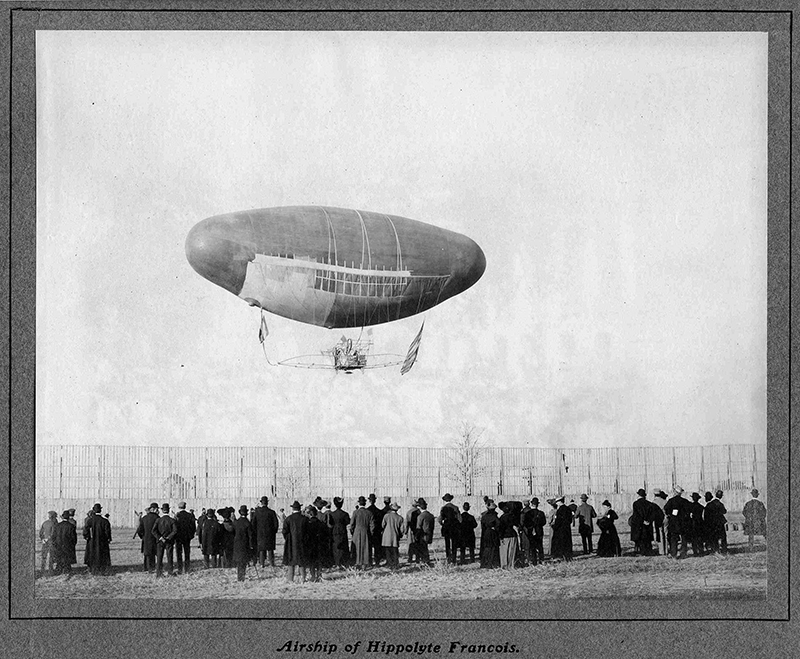 But none were successful enough to win the prize of $100,000 offered to any person who could navigate an airship over an L-shaped course not to exceed fifteen miles in circuit at a speed of at least 15 miles per hour and return to the starting point. Nobody was able to claim the grand prize of $100,000 that was offered to the person who could navigate an airship over an L-shaped course not to exceed fifteen miles in circuit at a speed of at least fifteen miles an hour, returning to the point of starting. 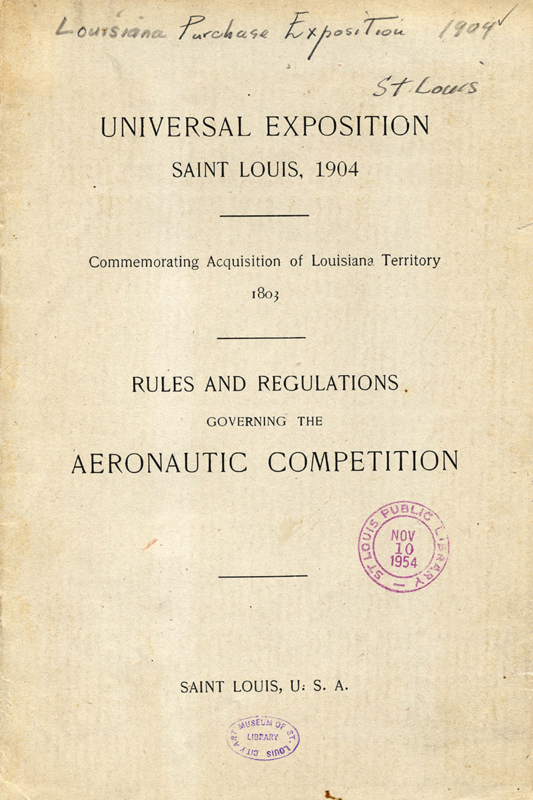 The aeronautic concourse was on the plateau west of the Administration building and embraced about twelve acres, surrounded by a fence thirty feet high. Within the enclosure was an aerodome, or balloon house. 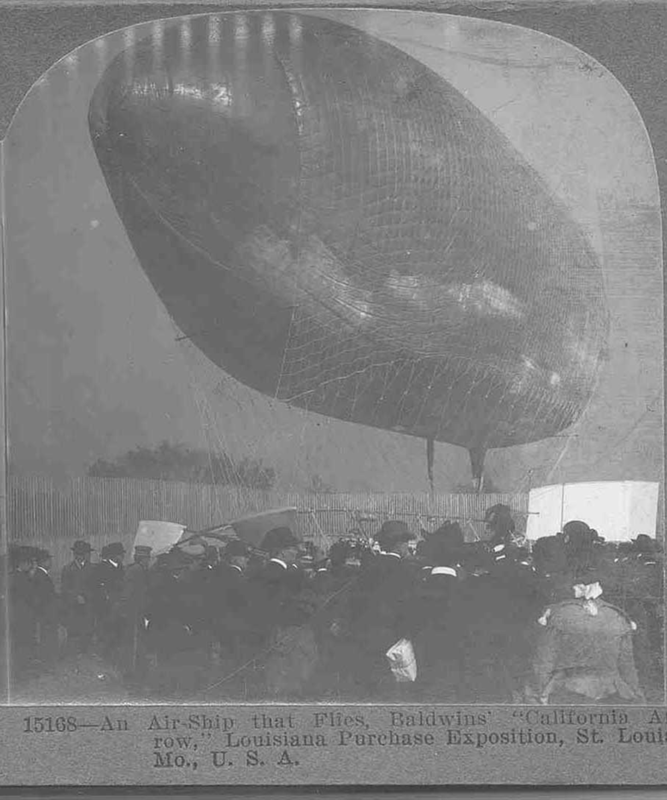 The California Arrow airship of Capt. Thomas R. Baldwin of Los Angeles, Cal., is here almost ready to start on a flight which proved one of the most successful and sensational in aeronautic history, rivally those of M. Santos Dumont in Paris. Under the guidance of A. Roy Knabenshue, a Toledo, Ohio, aeronaut, the Arrow made a flight from the aeronautic concourse at the World's Fair. Knabenshue made three successful flights in the Arrow at the World's Fair, proving conclusively its dirigibility. The ship contained 8,000 cubic feet of gas. A gasoline motor was its propelling power. Motor, framework and aeronaut weighed altogether less than 300 pounds. The white object at the stern is the rudder. The revolving propellers are to be seen at the bow of the ship. 'The ship was headed upward or forward respectively, this changing its angle. 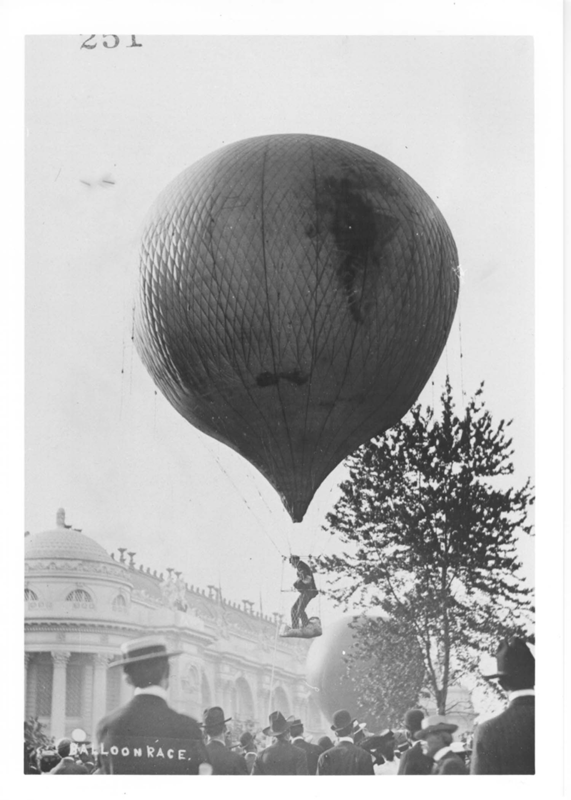 Part of the Fourth of July, 1904, festivities at the Louisiana Purchase Exposition was a balloon race between Professor Tracy A. Tisdell and Professor Carl E. Myers and his wife. A heavy shower postponed the race until 4 p.m. The balloons rose over the fairgrounds, but were lost to sight in another rain storm. The Tisdell balloon landed near Winstanley Park, East St. Louis, Illinois, 14 miles from the fair; Myers' balloon near Collinsville, Illinois, 22 miles from St. Louis.